« Older: Team Legends are the Champions! Newer: » 2014 Lobster Fest is a go! 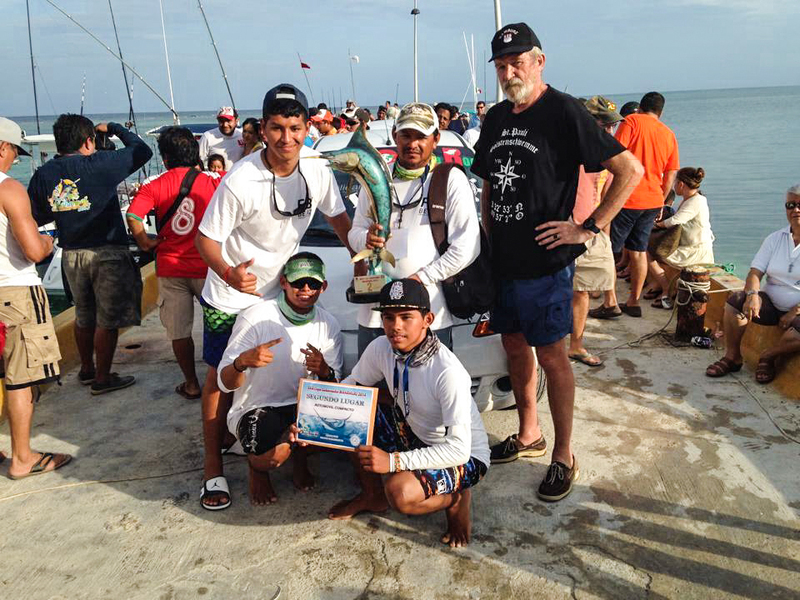 Two Belizean teams took the second and third place spots at the 2014 Copa Gobernador held in Mahahual, Quintana Roo, Mexico on the weekend of May 2nd to the 4th. 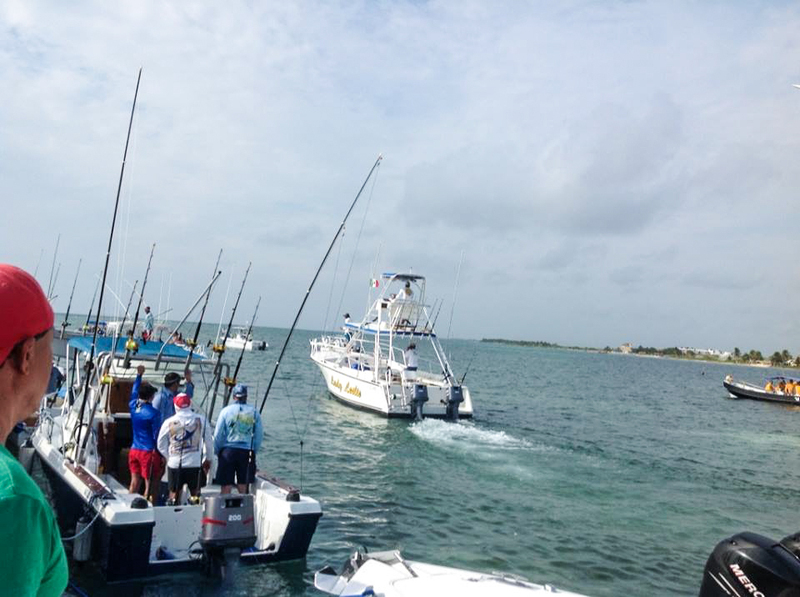 The 23rd edition of the fishing tournament saw 57 vessels from five Mexican states, Belize and the United States of America participating for the big prize. 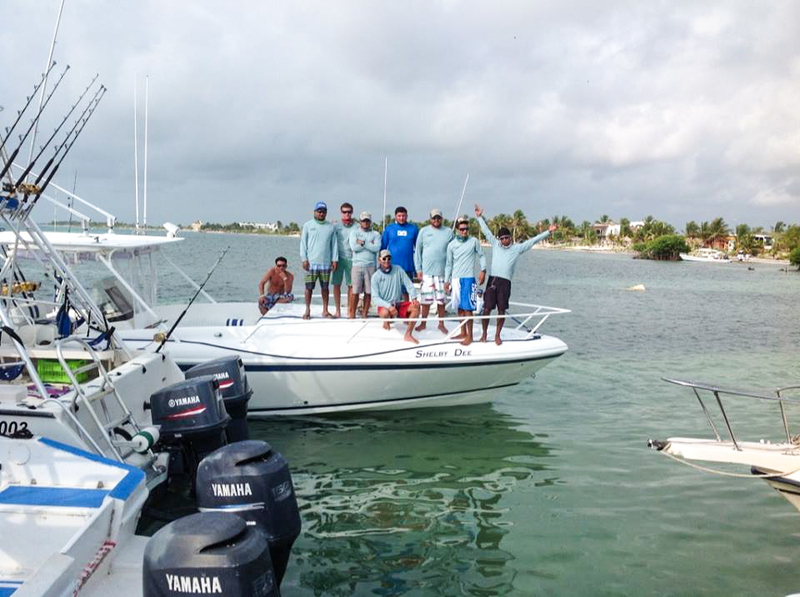 The fishing tournament brings significant economic benefits to the area, and is considered one of the largest tourist attractions for Mahahual. 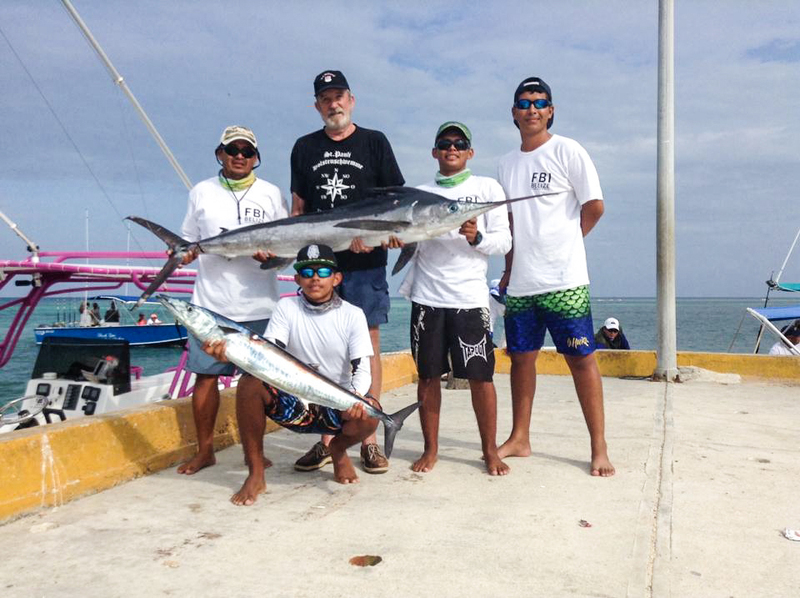 Fishing skills were tested in the tournament, as boat captains and their team of fishermen had to ensure that they had the highest weigh in of fish by the end of the tournament. 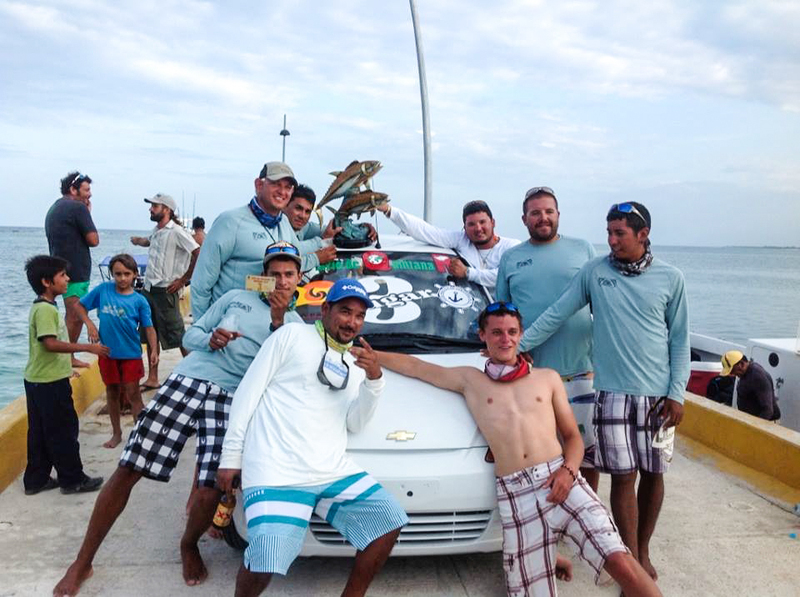 The lucky vessel was “Yellow Fin” from Quinatana Roo, captained by Gerardo Pérez Zafra. Yellow Fin took the grand first prize with 2,128,500 points, with two wahoos, one barracuda and a blue marlin during the tournament. They took home $17,000 pesos (approximately $2,983 BZ) and the grand trophy. 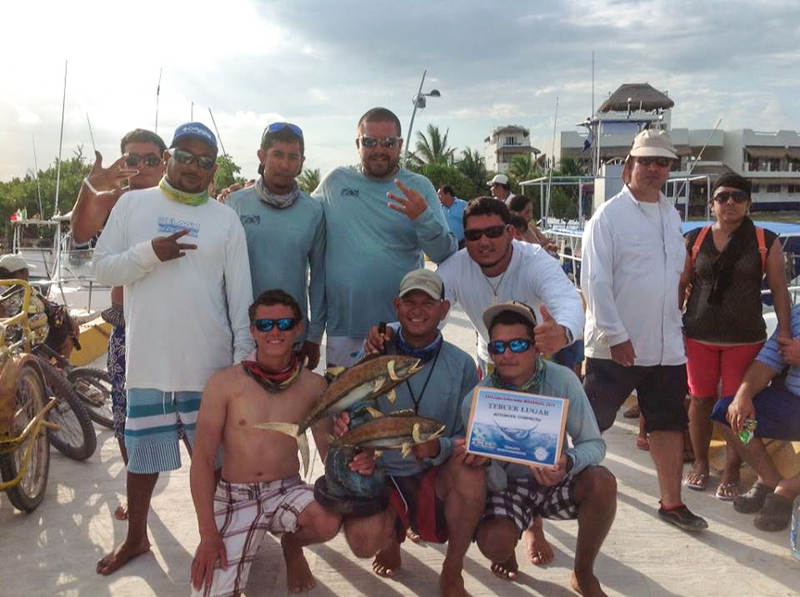 “Real Challenge” of Ambergris Caye took second place with 621,000 points. “Real Challenge” was captained by San Pedrano Enrique Marin, and its crew compromised of Giomar Marin, Jashua Marin, Enrique Marin Jr. and Joe Hemple. 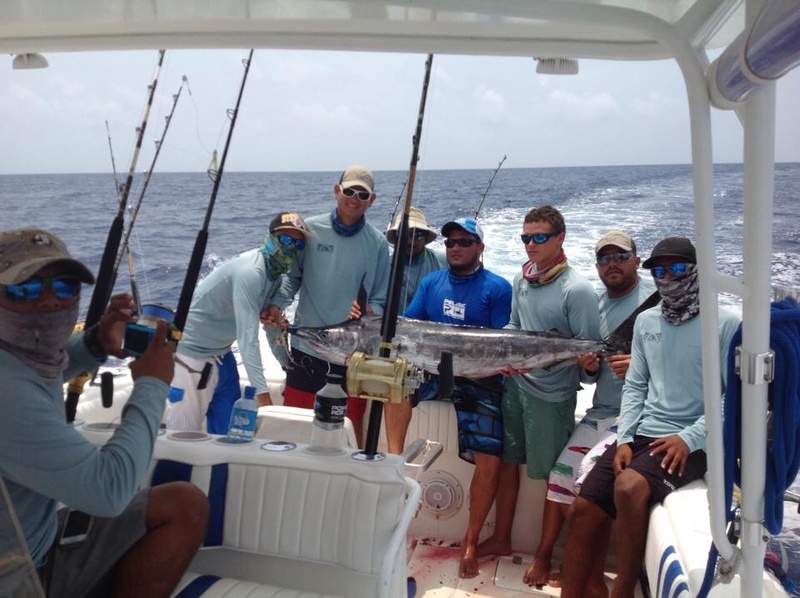 They caught two dorados, one white marlin and one wahoo, weighing in at 109.51 pounds. For their efforts, the team received a trophy and a compact car. In third place was “Shelby Dee”, also from Ambergris Caye, Captained by Shadany Bradley and Stefan Musa. Shelby Dee earned 620,000 points throughout the tournament. 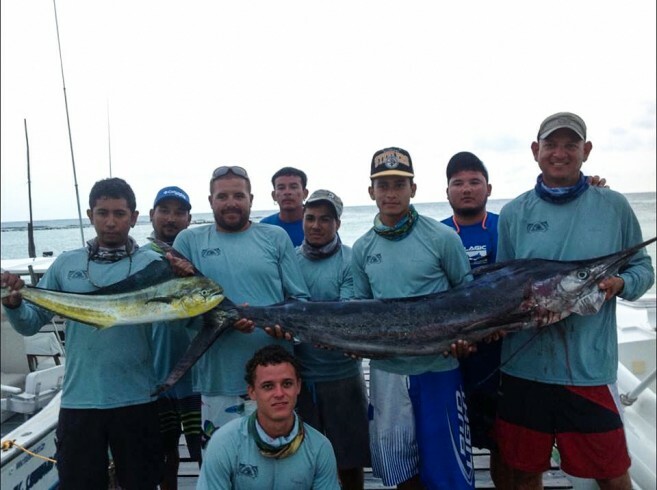 The team consisted of Michael Hancock, Andre Paz, Irvin Chacon, Gary Bowman, Junie Bladen and Mario Donis, and they caught one blue marlin weighing in at 54 pounds. The team also received a trophy and a compact car. “We had an off on Sunday not being able to catch anything. Yet we still managed to push forward and place,” said Captain Bradley. 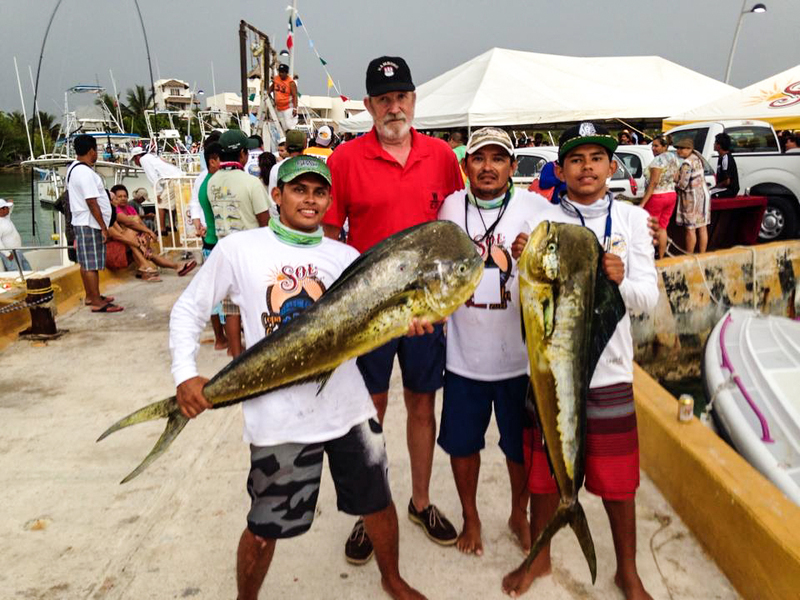 The San Pedro Sun congratulates the local teams on their wins, and of course, Yellow Fin for their impressive catch! 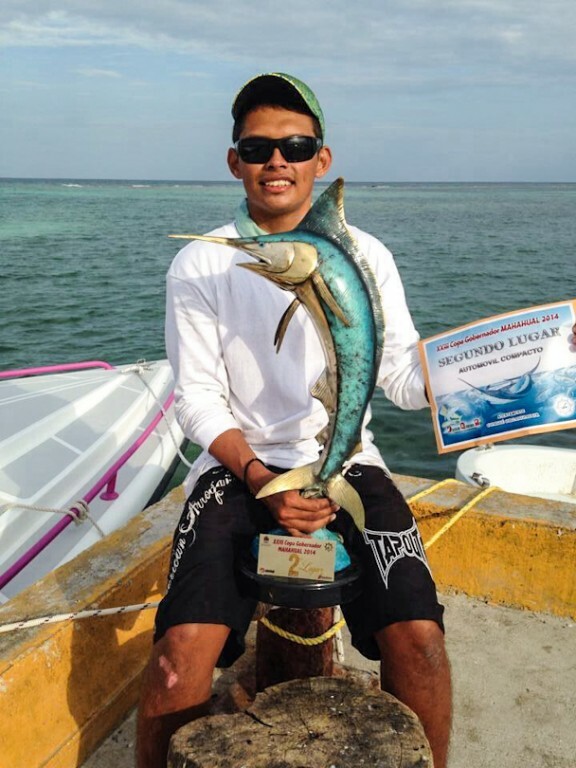 Flyn Fish takes the top prize in the 2015 Captain Morgan’s Wahoo Challenge!